We’ve traded one Portuguese speaking country for another this week. Originally a colony of its smaller European counterpart, Brazil has grown today to become one of the worlds most promising and important developing countries. Before the Portuguese arrived on the shores of Brazil, the population consisted of indigenous tribes. These groups were largely nomadic and relied upon hunting, fishing, and migrant agriculture to survive. The Tupis, Guaranis, Gês, and Arawaks were the largest tribes. Their numbers totalled about 7 million in the territory of present day Brazil. On the 22nd of April 1500, the Portuguese – led by Pedro Álvares Cabral – arrived and changed the destiny of Brazil forever. Colonization didn’t start in earnest until over 30 years later however. Initially, the Portuguese divided the territory into 15 autonomous provinces though when it became apparent this was unsustainable the settlement was restructured under a central authority. The colony’s economy was based on the importation of slaves from Africa and exports of sugarcane. When the sugarcane dried up, gold was discovered, kick-starting the Brazilian Gold Rush. All this time, the colonial authority worked to keep the peace over the huge swathe of land. One of the last chapters in the history of Portuguese Brazil is that of a United Kingdom. Due to the threat of Napoleon and the Spanish in continental Europe, the royal court moved from Lisbon to Brazil. When the threat subsided and European courts demanded the Portuguese to return, the Crown formed the United Kingdom of Portugal, Brazil, and the Algarves. 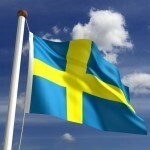 Resentment in Europe against the larger colony meant that this was unsustainable. Tensions at home and abroad would eventually lead to Brazil declaring independence. The Brazilian War of Independence lasted from February 1822 to November 1823 and ended with a Portuguese surrender. On the 29th of August 1825, Portugal officially recognized Brazil as an independent monarchy called the Empire of Brazil. The monarchy of Brazil struggled with political upheaval, particularly surrounding the issue of slavery – which was formally abolished in 1888. Eventually, after years of economic turmoil, a military coup overthrew the monarchy on November 15, 1889. The political instability surrounding the new Republic led to the rise of Getúlio Vargas. After multiple attempts to remove him from power, the Vargas regime cracked down with increasing brutality. He was removed from power in 1945, though he would return by election in 1950. However, a political crisis in 1954 would lead to his suicide ushering in another uncertain period of leadership. Dictatorships, left-wing resistance, and varying economic fortunes characterized the later half of the 20th century. Finally, in the early 2000’s, elections and smooth transitions of power showed that Brazil was finally achieving political stability. The current president, Dilma Rousseff, was elected in 2011. Though Brazil’s economy is no longer as fast growing as it was in 2010, the country is still a major player in both Latin America and, increasingly, on the world stage. Brazilian culture is strongly influenced by the Portuguese colonization as well as various African, indigenous, and other European cultures. The language, strong Catholic faith, and architecture in particular are derived directly from Portugal. Music in Brazil clearly demonstrates the diverse influences in the country. It fuses African and European elements to create a unique ‘samba’ sound. 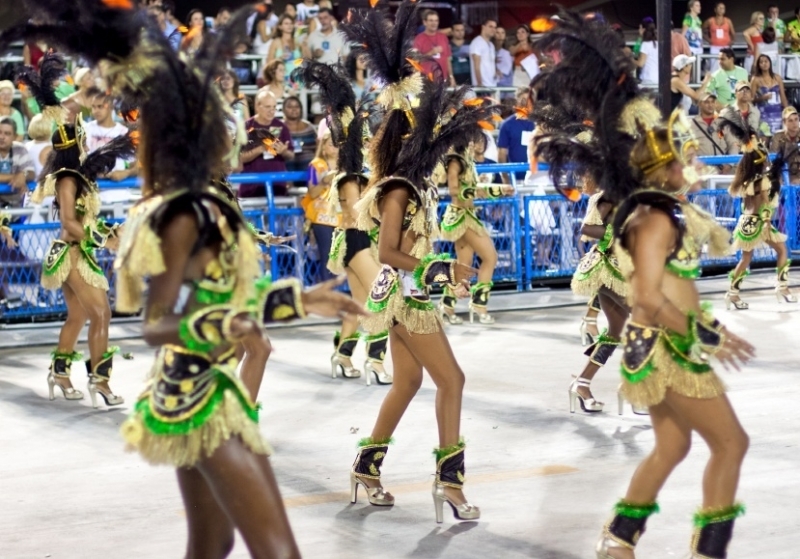 These traditions of music and dance are clearly seen in the Rio Carnival – held before lent every year. The Carnival is the largest of its kind in the world, attracting 2 million people per day on the streets. The flashy parades and costumes (or lack thereof) are well known across the globe. Like Portugal, Brazil has a strong sporting tradition. Volleyball, mixed martial arts, and Formula 1 are all popular throughout the country but soccer is far and away the most followed. Some of the best players in the history of the game are Brazilian and the national team has won the World Cup a record 5 times. Brazil is vast country, with a long coastline as well as claiming a large portion of the interior of the entire South American continent. 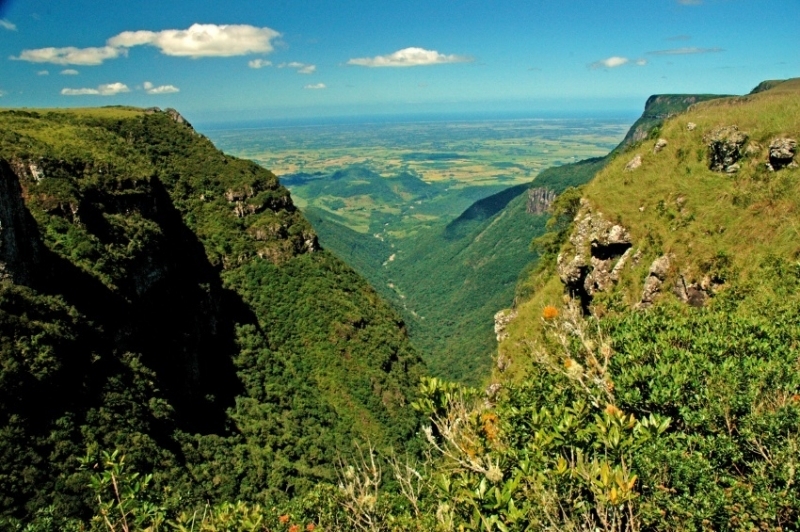 The equator runs through the country, though not all of Brazil features a tropical climate. The northeast is home to semi-arid deserts, while temperate forests can be found in the more rugged south. A large portion of the country is dominated by the Amazon rainforest. The Amazon is home to the greatest amount of biological diversity in the world, though it is under threat from deforestation. With the Amazon River (the largest river by water discharge in the world) running through it, Brazil’s interior is truly one of the most wild and striking natural places on earth. 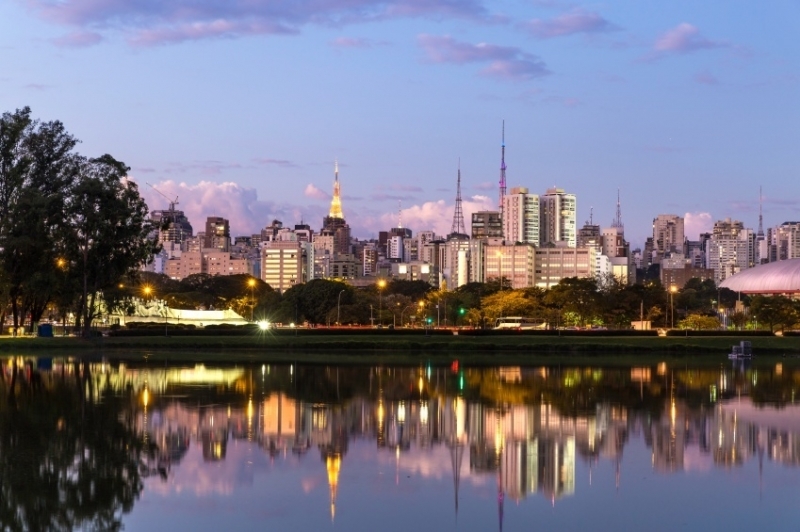 Though the wilds of Brazil are truly extraordinary, the major cities are just as impressive. 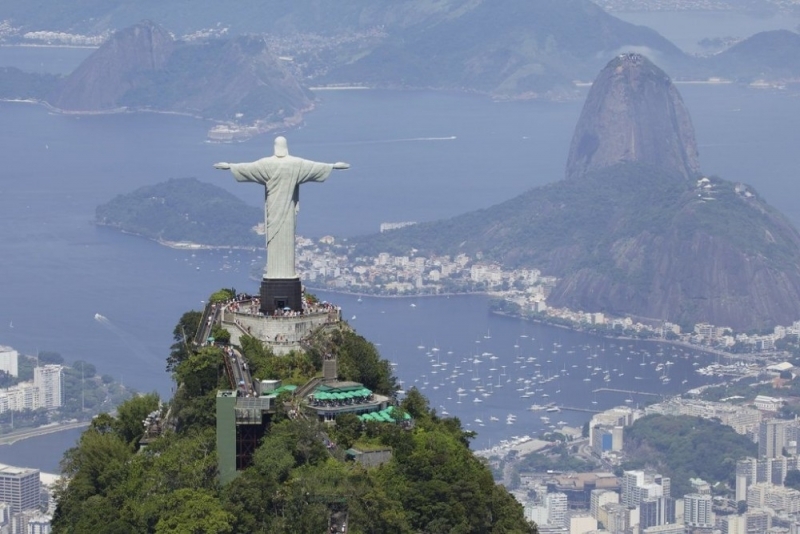 Arguably the most well known Brazilian city is Rio de Janeiro. Known its surrounding mountains, gorgeous beaches, and Christ the Redeemer watching over the entire city – Rio is one of the most recognizable metropolises in the world. São Paulo, however, is the largest city in Brazil – and the entire Americas. The city has huge cultural, economic, and political influence and is also known as one of the most multicultural cities in the world – it’s home to the largest immigrant groups of Italians, Arabs, and Japanese in the world. Brazil has moved beyond its history of colonization and politcal turmoil to become a hugely important country on the world stage. Though there are domestic economic problems the fascinating history, culture, and locales in Brazil make it a must see for any aspiring traveler.